The Deputy app allows your employees to use Deputy functions right from their smartphone. 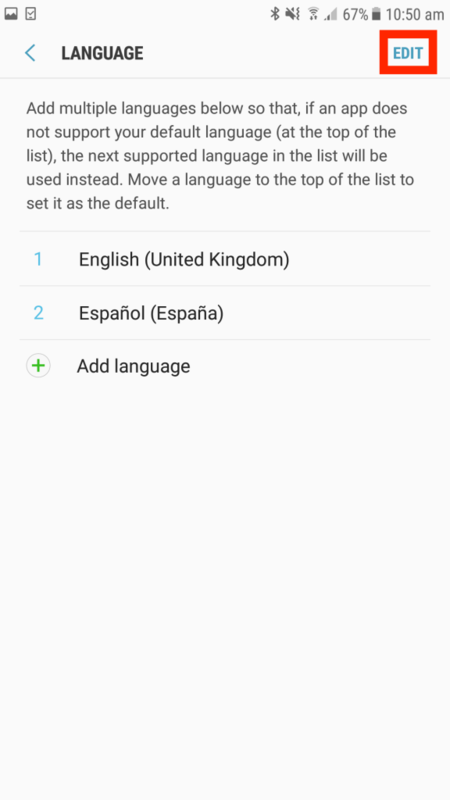 If they have an Android device and they would be more comfortable using a different language with the app, they can use one of the nine supported languages. 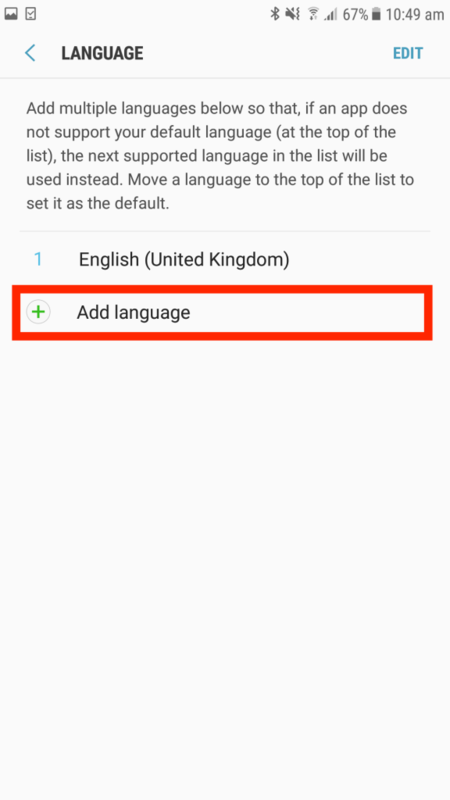 This guide will teach you how to change the Deputy Android app language. Please note: The following instructions are correct for Samsung handsets running Android 7.0. 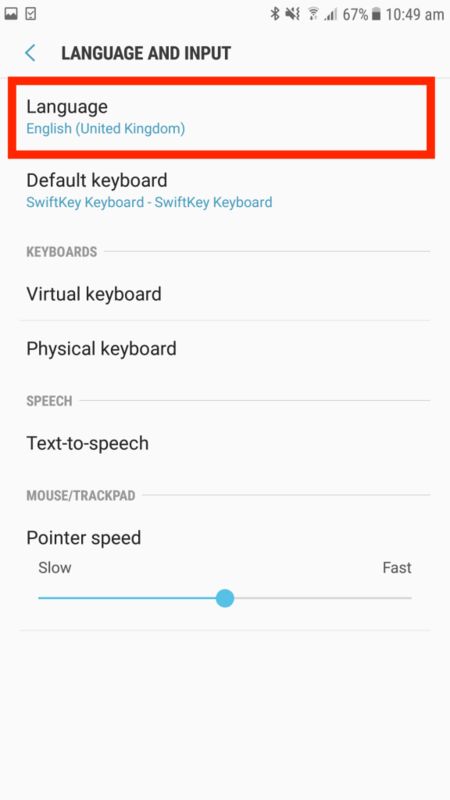 While the instructions may vary based on your handset and Android version, the steps below can be followed loosely for your own device. 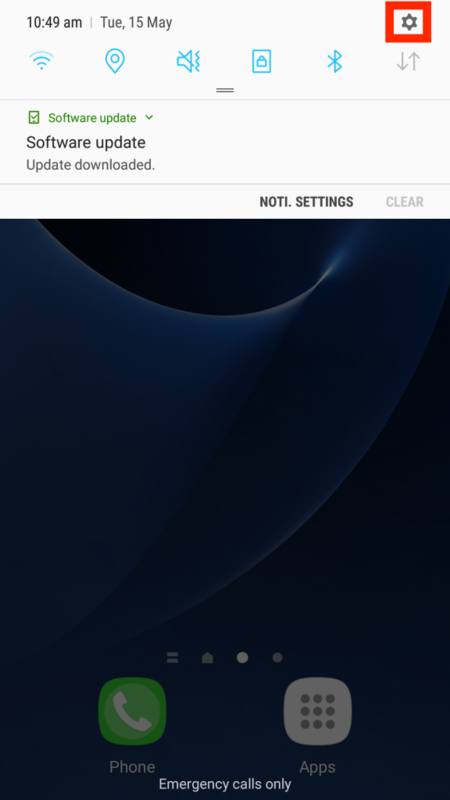 To begin, swipe down from the top of your screen to bring up the notification bar, then tap the gear icon to bring up the phone's settings menu. 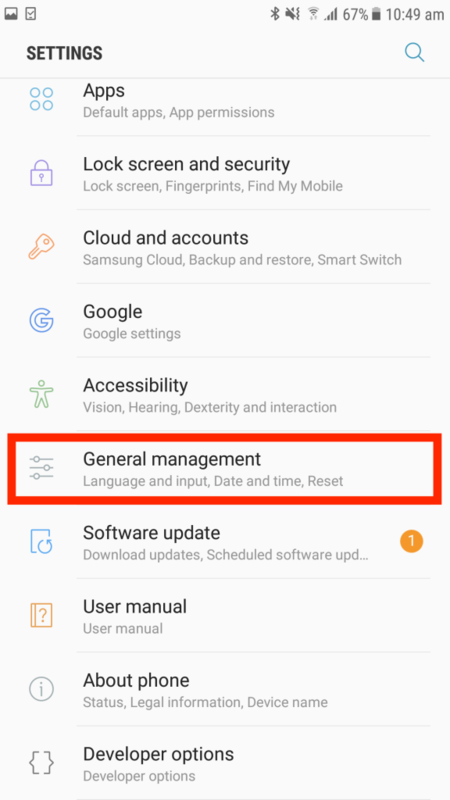 From here, scroll down and tap 'General management'. A non-Samsung device may have this labeled differently. 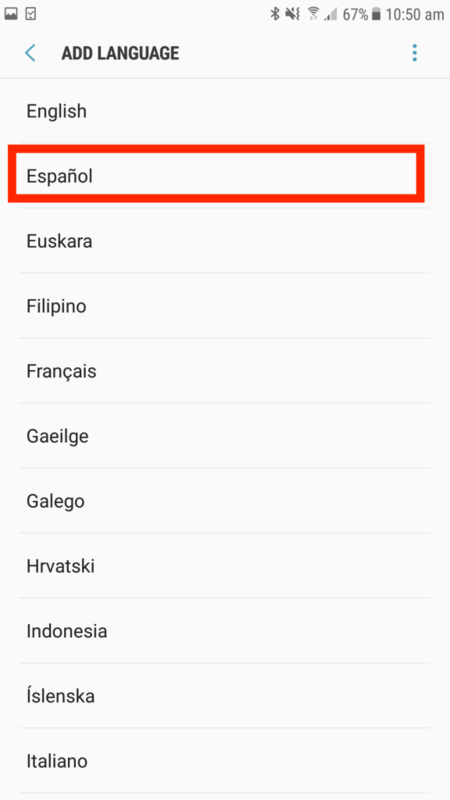 In the menu that appears, select one of the nine supported languages. In this example, we'll select Spanish/Espanol. After selecting your language, you will be redirected to the language page. To get Deputy to display in the selected language, click 'Edit' in the top right-hand corner. 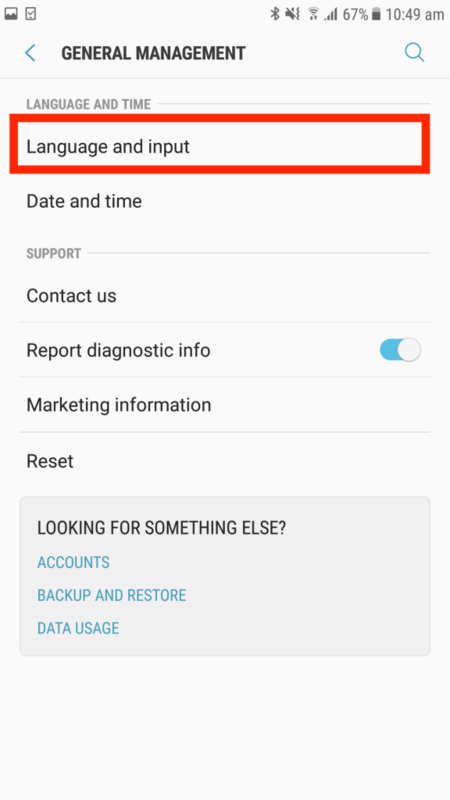 Now press the Home button/close the Settings menu and open up the Deputy app. 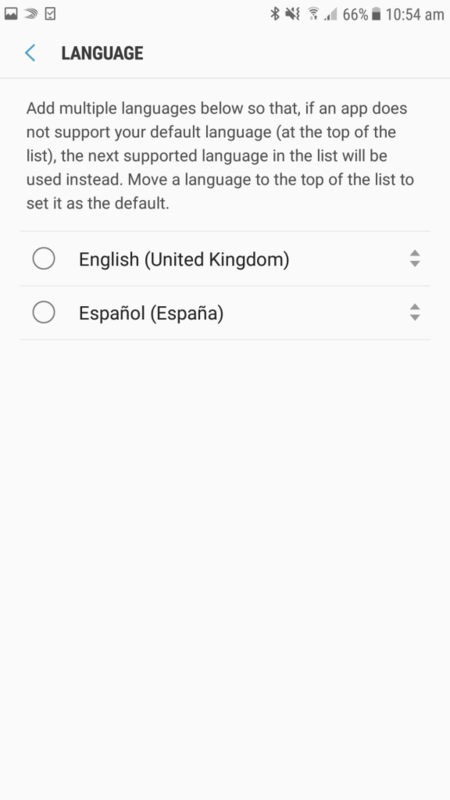 You'll notice that the app has changed to the newly selected language. Note that if you have entered any data in English, it will appear as such, including business and location names, and employee names.